In a recent email about my new coaching page, I hinted at the remarkable journey of one of my clients: Melissa S.
Today I want to talk about that remarkable journey. 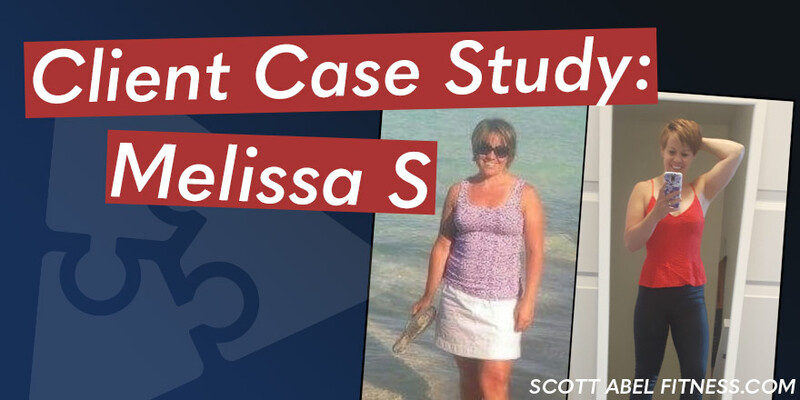 In her coaching assessment, Melissa said she just wanted healthy metabolic function back. She had several related health issues, including IBS and endometriosis. (Endometriosis is often connected with weight gain, just by itself.) She wanted to feel like herself again—and if we could get her leaner at the same time, well, all the better in that. Also, like many people out there, it’s not like Melissa had all day to work on her fitness goals. Just before hiring me, Melissa had quit her job to open her own personal training studio, where she was working 8–10 hours per day, five days per week. And then—and then!—Melissa also had to deal with being displaced by the fires at Fort McMurray. So, let me go through how we got Melissa back on track, from the physical side of things, and then I’ll talk about the resilience she showed to do all this while dealing with the fires, with being displaced from her home, and more. Take a good look at Melissa’s before and after pictures. Take a really good look. How much weight do you think she lost? What you’re looking at is only a difference of 8 or 10 lbs. That’s it. But the those 8-10 lbs represent the difference between struggling to avoid gaining weight and the relief of finally dealing with metabolic issues properly and sustainably. We did it with heavy training. Now, let me be clear: I’m not saying that’s always the answer (if you’ve read my stuff for more than five minutes, you should know that it isn’t), but it was the answer in this case. One of the other reasons I wanted to write an article on Melissa as a client case study was because Melissa is one of the few female trainees to whom I can assign heavy strength training protocol. She thrives on it: heavy weights, low reps, basic strength movements and powerlifts. In fact, the most recent program I assigned her is one I can seldom assign to anyone, because it is really REALLY heavy low reps strength work with complete recovery. This is important because of client and consumer gender bias and perception blindness of female trainees. If you look at popular fitness ads, the “heavy” stuff is all marketed to guys. For women, it’s always circuit training, fat loss, cardio, and that kind of thing. Well, let me be blunt: if you focus too much on cardio, circuit training and “calorie burning” at the exclusion of all else, you’ll never get yourself back to metabolic health. You will just drive yourself into the ground. I want to stress that one of the reasons Melissa was successful is she never had this problem with her thinking, where she was only open to cardio or something. Instead, she was open-minded to whatever I assigned her. This is also why she was successful. 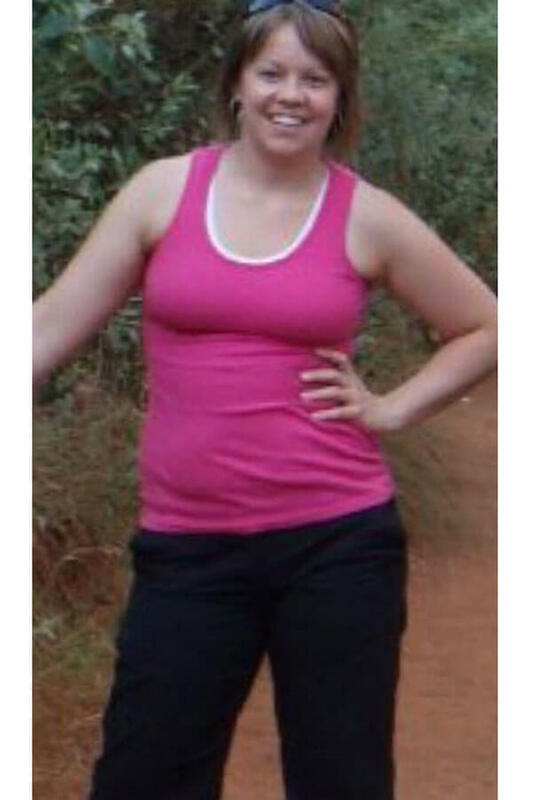 She knew it wasn’t about losing 20 or 30 lbs to deal with metabolic issues. She was open to building metabolically active lean tissue and eating a healthy diet. We stayed with that one single diet-strategy for about a year and a half,and then transitioned to a different diet strategy she currently follows. And no, Melissa is NOT on a plant-based diet. But she is of course on a carbs-based diet. She has maintained her transformation for well over a year now. As a coach, that is always the goal, to put people back in touch with their bodies again in healthy ways. “#1 I rarely stray from nutritional plan, as you know, I like to keep routine and eat the same food as much as possible because I know what makes me feel good & I want to feel that way. In saying this, one of the biggest things I notice since starting with you is that probably for the first time in my life, I am significantly more relaxed and balanced around food, as well as exercise. And all the carbs :) Yum! And while working on all this, tragedy and devastation struck Melissa’s life on a level few of us will ever be able to fully appreciate. In May 2016, Fort McMurray—where Melissa lived—was hit with a devastating fire that wiped out entire communities. Over 3,000 buildings and home were destroyed, and 88,000 people had to be evacuated. It was the largest evacuation in Alberta’s history. Melissa and her husband were displaced from their home, right from early May until July, when they were given the go-ahead to return home. Melissa’s resilience during this time amazed me. None of us can really appreciate that level of devastation and displacement. When you return home, nothing is the same. How do you deal with that – being back home, but… not at home? Situations like this offer us tremendous perspective. Think of the last time you complained or missed a workout because it was the weekend. Or because something minor came up. It’s not the same, is it? There are hiccups and inconveniences, and then there are moments that put those things in perspective. The tragedy offered Melissa (and me) a perspective on health and well-being and what really matters. This is why fitness isn’t about mirrors, dress sizes, self-rejection or weight scales. It’s an appreciation that you get to do what you love doing. 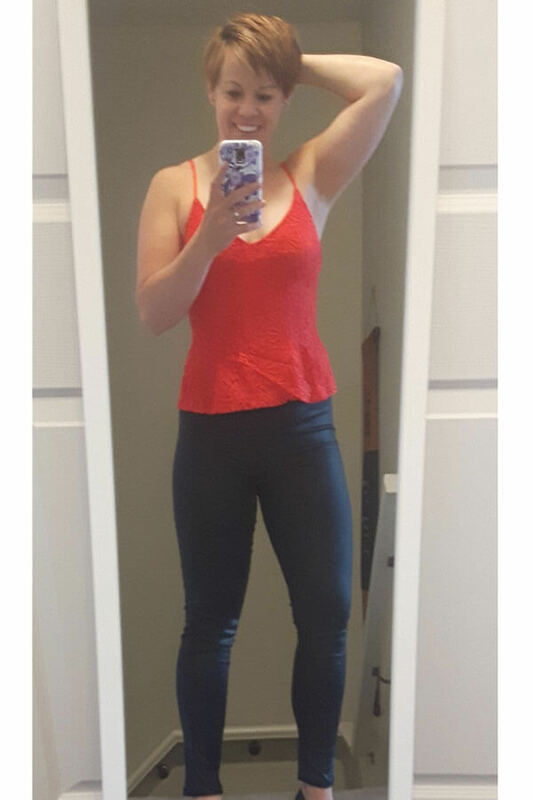 For the first time, in probably ever, I feel 100% at peace with my body. I feel great with where I am physically, mentally and emotionally with respect to body image & food. This last year, I really wanted to finally feel like myself again as I haven’t really felt like myself 100% since I competed in 2012. I really wanted to feel good in my clothes, I wanted my body to feel like my own and I wanted to really fully be able to enjoy food without attaching any guilt to it. I seem to have accomplished all of that with your help & without feeling deprived or run down either. I feel stronger and better than ever, especially mentally, plus I am currently the leanest and I believe the healthiest I have been in an extremely long time. I guess what I am getting at here is that since working with you Scott, for probably the first time in a very long time, , I actually feel like I control my life as opposed to diet & exercise controlling me & my life. I hope that makes sense. I just wanted to say thanks for your help & continued support in getting there. As you can see Melissa’s metabolic issues are behind her. She remains a coaching client and likely will be for some time come. For people who really understand what coaching can do, it’s beyond just getting to a place or a body weight and then being done with it. For those who are open to it, fitness and wellness can be part of much, much more.